The origin of this parish, goes back in time to the occupation of that area by Greeks and Turduli (an ancient Celtiberian tribe) that arrived here attracted by the sea port. In the beginning of the 18th century, this Algarvian land was stepped by Romans, whom left us several proofs of their presence. From the Arab period there are some archaeological traces and it's very likely that, in "Alto de Santa Maria", where today is the Santa Maria Church, was the Major Mosque, temple of Allah. 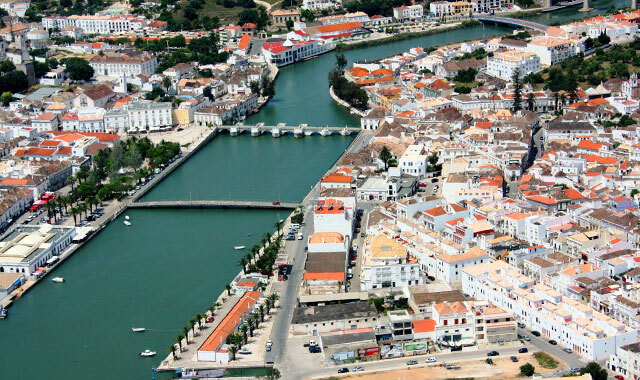 If you feel brave and/or understand Portuguese, you can visit the official Tavira Santa Maria Parish website.